Circa 1968. Enticing views of the water are among the many treasures offered at this jewel in the village of Lumberville, Pennsylvania. 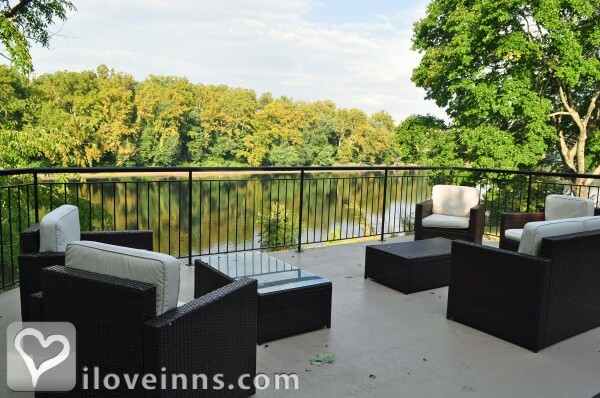 Here the Delaware River and the New Jersey River banks enliven the setting for a carefree getaway or peaceful romantic interlude. Choose from numerous guest rooms and spacious suites well-appointed with balconies, wireless internet, television and some featuring a mini refrigerator and gas fireplace. Linger over home-cooked breakfasts prepared by your hosts. Corporate meetings and private events are popular amid the beautiful setting.Location: Country, Waterfront and Access to water is 1/8 mile. Payment types accepted include Visa, Discover, Master Card and American Express. Cancellation: � If your reservation is cancelled 2 weeks or more prior to the arrival date then your deposit is refunded less 10% of total room charges. � If your reservation is cancelled within 2 weeks of your arrival date but more than 24 hours in advance then your deposit is non-refundable. � If your reservation is cancelled within 24 hours of your arrival date your credit card will be charged in full for total rooms charges. Pets: No pets are allowed unless permitted by law. 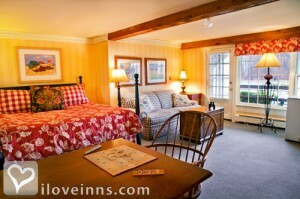 Amenities In Room: Bathrobes, Fireplace, Bath Amenities, Cable TV, Air Conditioning, Heating, Iron/Ironing Board, Restaurant, Television and Wireless Internet Access. Amenities On Site: Free parking on premise and Suitable for Events. 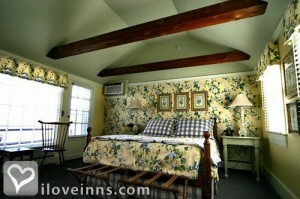 Events Hosted: Honeymoons, Family Reunions, Weddings, Meetings and Romantic Getaways. Other Activities: Antiquing, Art Galleries, Bicycling, Canoeing/Kayaking, Fishing, Golf, Hiking, Horseback Riding, Parks, Shopping (Local Crafts) and Water Sports. 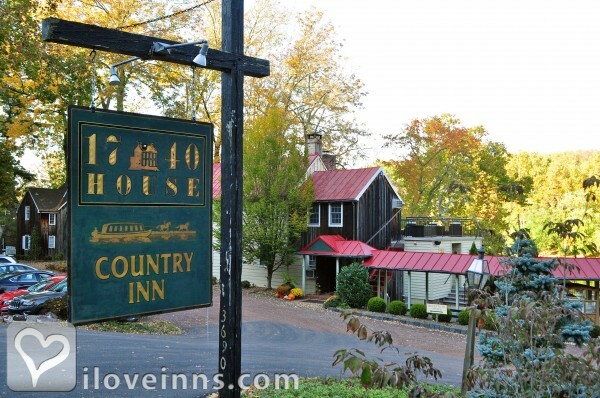 The original property and farmstead date back to 1740. 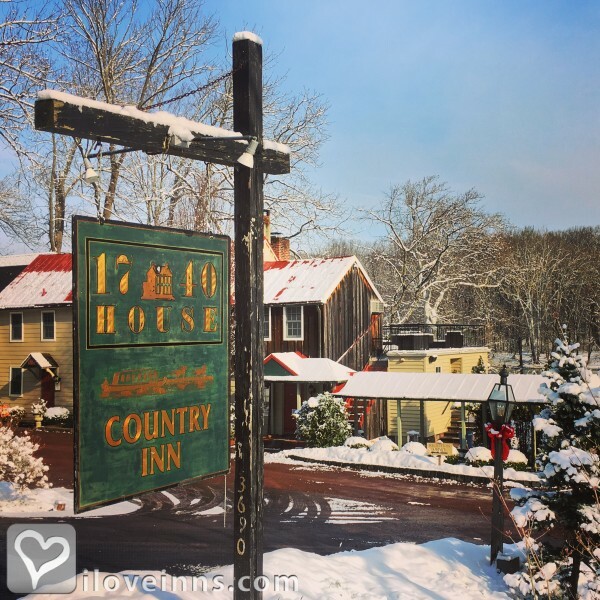 The inn is located in the historic village of Lumberville which is home to one of the oldest continually operating hotels in the country. Charming water front views come with every room. 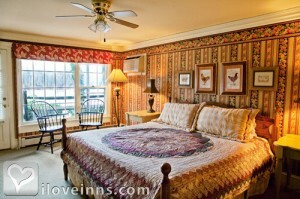 In suite fireplace in most deluxe rooms provide a perfect ambiance for a romantic weekend. 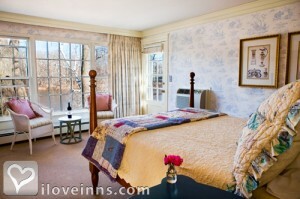 Specialty arrangements for flowers, champagne service and other in room services may be made with the innkeepers.